Healthy Summer Treats: Slim Twin Ice Cream! Nothing tastes better on a hot summer day than some delicious, cold ice cream! However, sometimes ice cream can really hurt a diet or healthy lifestyle because of high calories or artificial ingredients! So this summer, if you are trying to eat healthy and low calories but still crave ice cream, turn to Slim Twin ice cream! Made by Three Twins Ice Cream, Slim Twin is the first and only certified USDA organic low-calorie ice cream. 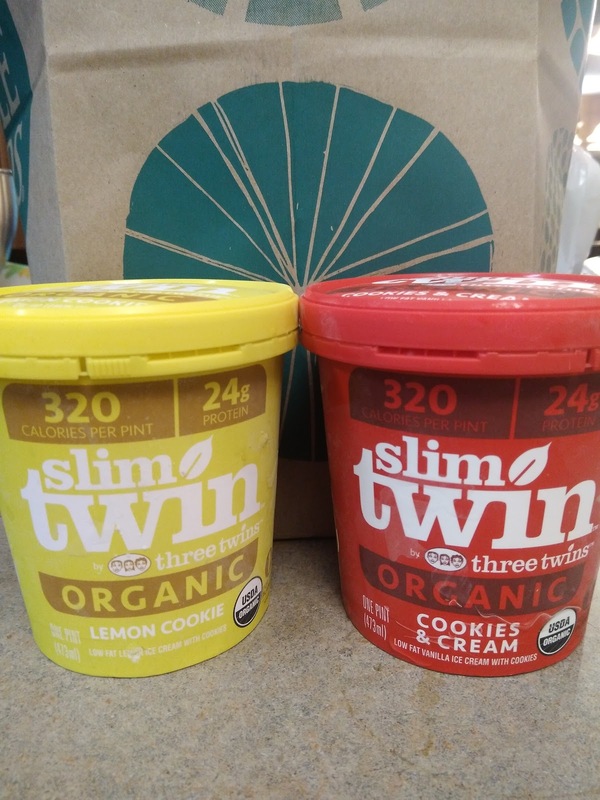 Unlike most low-cal ice cream brands, Slim Twin is crafted with a base of real milk, cream, sugar and eggs and contains zero added salt, glycerin, stevia, or artificial coloring/preservatives. Available in Vanilla, Lemon Cookie, Coffee and more, Slim Twin is also low-fat, packed with 24g protein (more than Halo Top and Arctic Zero!) and has only 240-320 calories per pint—offering a clean & guilt-free summer treat. I absolutely love the flavors offered by Slim Twin and my favorite has got to be the Lemon Cookie and Cookies and Cream! And I feel no guilt when eating it! That is my favorite part. Not only is it organic but it is high in protein and made without ANY artificial ingredients! Dig in this summer to your favorite flavors of ice cream WITHOUT GUILT with Slim Twin ice cream! You can purchase Slim Twin ice cream online or at your local retailer.